There is a point to all of this; there’s a new “next Messi” and he resides in Lyon playing for Olympique Lyonnais. His name is Nabil Fekir. He ticks all the boxes you want out of a guy being labelled as the next Messi: He’s short, has a low center of gravity, he’s left footed, has the ball on the string, first class acceleration and very good shooting ability. Here’s the big difference between Fekir and the Messi wannabes I just mentioned: None of them have been as good as Fekir have been at the beginning of their professional careers, especially when taking into account he’s doing this in a major European league known for not being the easiest to create offense. 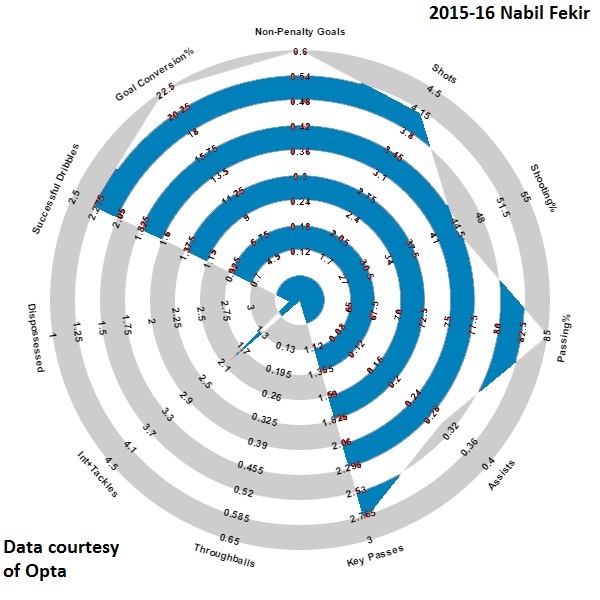 Nabil Fekir has been very impressive and could become a generational talent. Last year was his first season as a every week attacking player, and he responded way better than anyone could’ve imagined. However things haven’t gone exactly that way this season. Lyon have been… okay. They haven’t been bad, but it hasn’t been the swashbuckling football that made people who didn’t watch Ligue 1 regularly take notice throughout their title challenge. Their performances against Rennes and Guingamp in particular were very lackluster and unimaginative. The Mathieu Valbuena acquisition has been a work in progress (and that might be putting it a little lightly), and the midfield three has been not at their best. Perhaps most importantly, Alexandre Lacazette has looked like a shell of his former self. For now, it’s fair to say that most of that could be due to the injury he suffered in the second half of the season opener versus Lorient. What’s been impressive for Fekir so far this season is that he’s been great throughout the first four games this season. In particular, his game against Caen was magnificent. Not only did he score a hat-trick, but all the goals were done in an effervescent style that made you hark back to a young Lionel Messi when he had the mop haircut. It’s very similar to Messi. Outside the ludicrous amount of throughballs (All hail the Barcelona effect), the production is mirroring what a 22 year old Messi produced at. 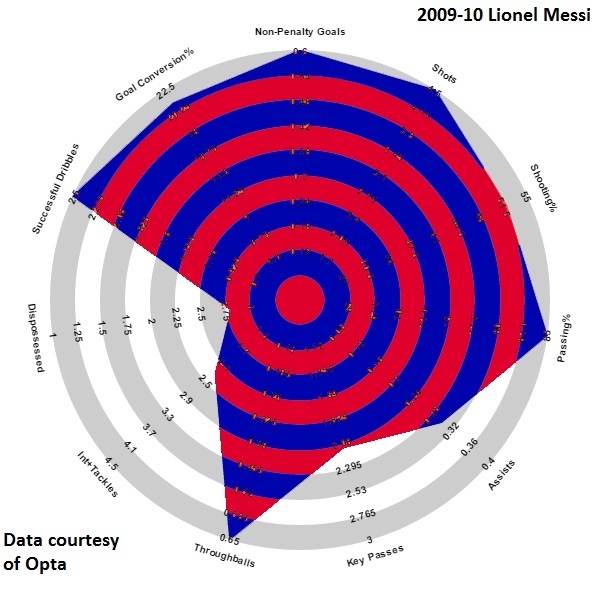 Mind you, Messi also performed at a similar level the year before and that along with many things made him a freak of nature at 22. It can’t be put into words just how fun it is to watch Nabil Fekir play football when he’s at the top of his game. He is the best attraction in Ligue 1 (we still love you Zlatan), he’s appointment viewing TV week in and week out. He is one of the most exciting players of his age bracket in Europe and he’s got a chance to be one of the best players to have ever come out of Lyon’s youth academy. There is nothing this man can’t do. You need him to beat two defenders with his dribbling? No problem. You need him to play as a #10 in behind two strikers? He’s more than happy to oblige. Use him as a point of reference for your offense? Easy as you like. Of course with players with as much talent that Fekir holds, consistency is the big thing. Fekir had some rather pedestrian performances last season in big matches (though he was brilliant against Saint Etienne in April when ASSE were chasing the final CL spot). 2015-16 still has many twists and turns left in which Fekir will have to play a big factor and in certain games be the factor for Lyon, but so far this season he’s been up to the challenge. The inevitable question with supreme talents who come out of academies like Lyon (and Ligue 1 in general) is when will a rich club come in and seriously sniff around for him? Perhaps that never happens with Fekir and he becomes the best Lyon player of the modern era. 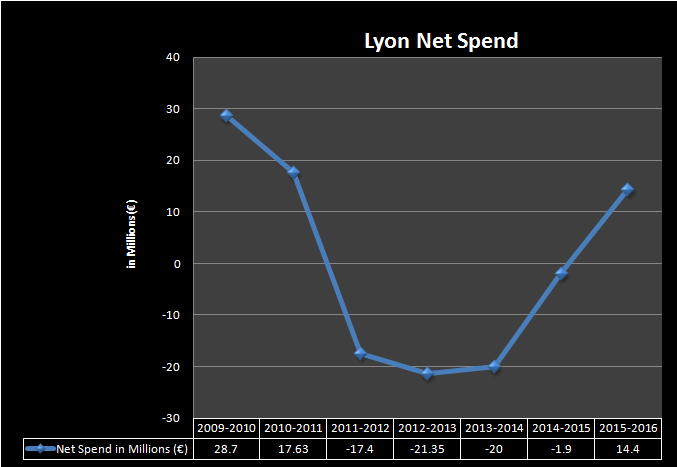 We don’t know exactly how high Lyon will climb financially over the next couple of seasons with the new stadium opening in January 2016. You’ll never confuse Lyon as being in the same financial bracket as PSG, but they could possibly carve out a niche of being one of the rare Ligue 1 clubs who can afford a €15-20 million transfer or two. And that could be a big thing in trying to keep someone of Fekir’s stature for a relatively long period of time. Of course if Fekir grows into a superduper star at the rate he’s going and the elite European clubs come in with an extravagant offer, even a staunch business man like Jean-Michel Aulas would probably have to relent and sell Fekir to them. When Aulas compared Nabil Fekir to Lionel Messi last year, I’m sure the general consensus from the French media was “Okay Aulas, we get that you’re excited but let’s calm down here”. Truth be told, there still should be a lot of reservation when it comes to the amount of excitement that Fekir has generated. He is still 22 and hasn’t even played 5000 minutes in Ligue 1 in his career. We’ve seen prospects flame out before in spectacular fashion and they serve as a warning, even if they probably never had the same CV at the same stage of their career that Fekir has. But you just can’t help but be so excited with what Fekir could become. Liverpool fans and to a certain extent England fans were so thrilled when Raheem Sterling burst onto the scene in 2013-14 (although not so much now), and Fekir has probably been better than Sterling even with Sterling’s longer resume. He is a special prospect and is a symbol for how Lyon has rebuilt their squad primarily through their youth academy. The reservations that come with labeling someone “the next one” is natural, as we’ve been burned so many times before that we shouldn’t be as gullible to pronouncements as we are. 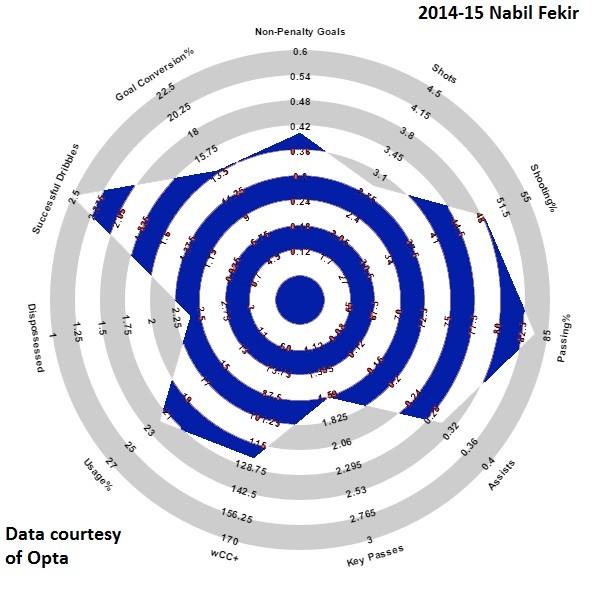 But maybe, just maybe, Nabil Fekir truly is the next Lionel Messi. This entry was posted in Analytics, Features, Ligue 1, Uncategorized. Bookmark the permalink.